Capcom will be taking the first steps towards making Street Fighter V‘s online environment a smoother and more enjoyable experience next week. From March 28 until April 3, the developer will be granting Steam users access to a beta that aims to test the new features being rolled out with a final version at a later date, and there are no restrictions, so new and existing players alike can jump in to put the update through its paces. No such beta will be available for the PlayStation 4 version, however. Due to its focus on testing online elements, the beta will only allow access to relevant features, although all characters, including those released as DLC, will be playable. All progress, unlocks and the like will be wiped at its conclusion on April 3. 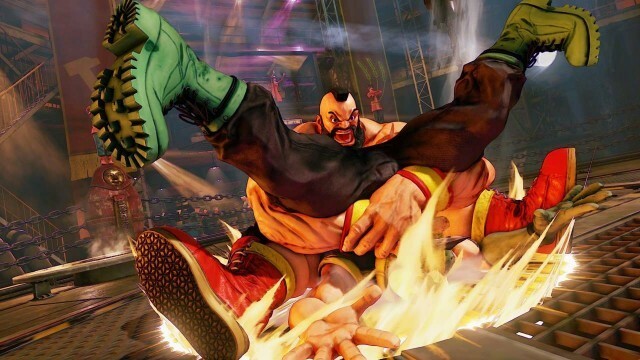 As for what you’ll be testing, improvements to algorithms that handle the beat ’em up’s Rage Quit system, as well shorter wait times for finding opponents and a decrease in loading times for both ranked and casual matches are the main highlights, with the majority of remaining adjustments largely dealing with providing players with more statistical feedback for how they performed in each match and better navigation tools for leaderboards. See here for the full list. Having picked up Street Fighter V on launch day, I, like many others, have followed Capcom’s attempts to improve the core foundations of the fighter very closely since day one, and while no game is perfect, the proposed changes to online play should go a long way to remedying some of its underlying problems, not least the frustratingly long loading times. With its suite of single-player content having improved since launch and a further season of new characters currently underway to increase variety, it appears as Street Fighter V has never been a better position. Let’s hope the trend continues and that the improvements help to attract some fresh blood into the mix.